Description taken from Goodreads. I received an advance copy of this book, released April 5th, 2016, via the publisher in exchange for an honest review. The initial plot is pretty unbelievable. I mean–if you set fire to someone’s property, I think that the police are going to track you down and you’re going to court. It’s less of the daughter’s decision and more of the law’s decision. That right there debunks the entire book, and that’s where you need suspended disbelief. Basically right after all the introductions have been made and it’s pretty clear that things aren’t right with Peyton, this book gets crazy. It’s so real that it hurts to think about it, or even try to explain all of it. Both Hank and Peyton have insane home lives for different reasons, and while Hank’s include an alcoholic father; a dead mother and older brother; and a pole dancer who is Hank’s dad’s girlfriend, Peyton’s is much worse. And it gets even better. Peyton seriously, seriously needs help. I mean that in the most caring way, because I ended up really liking her. She’s lonely, and she needs a friend, but she has her quirks and her strengths. She’s had a hard life, and even though she doesn’t want help and Hank is willing to just let everything slide, this isn’t something that’s going to just go away. I won’t give away too much of the story because Peyton’s condition is important to the twists, but all I’m going to say is that these are twists not commonly found in YA that deliver a huge dose of real-world reality: Peyton isn’t going to get better. It is on her, and while a good environment may help her, only she can start healing herself. 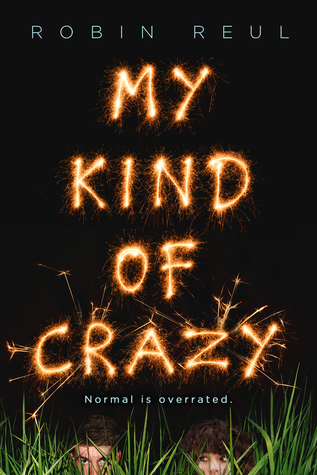 It hit me really hard as a reader because this isn’t the most intense YA situation I’ve ever read about, but it is the most intense YA situation where one of the main characters was the one actually suffering from mental illness. Now, in the midst of all that, there’s a lot of silliness that ends up being a bit of a breather in all the goings-on of this novel. For one thing, Hank is funny. His humor is dry and sometimes it’s dark, but it’s refreshing and I loved getting to know about his comics and his passions. He seems like an average, awkward guy just trying to make it, and not in a crude way like the characters of Jesse Andrews’ books. Hank is a good guy, and I appreciated everything he tried to do for Peyton, even if he was misled or he doesn’t really think things through. Between Hank and Peyton, this book is downright ridiculous. It’s this mishmash of hilarious and hopeful and so-real-it’s-depressing and dark and I still have so many feelings about this book. I can’t say I loved it. It was memorable, but I’ll have to think about it more before I finalize some of my opinions. All in all, as of right now, it’s a 3 star book. Not bad, and I will be recommending it. This book was one of the top ten books on my spring TBR.